How often do you think about cybersecurity for your business? How often do you think about cybersecurity for your business? One of the most critical elements of cybersecurity is the firewall. 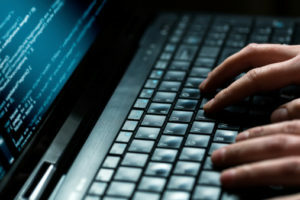 Firewalls protect your network against all sorts of unsavory and unwelcome intruders, such as hackers and computer viruses. Here’s more information about firewalls. Firewalls provide the first line of defense for your company’s computer network. It is one of the most recognizable layers of your cybersecurity strategy. What does it do? It monitors the exchange of information leaving your servers along with any incoming data. Essentially, it makes sure your network remains safe and easy to use without you having to worry about data theft or downtime caused by server failures and network outages. Each computer and device in your network should be given the benefit of firewall protection, and sometimes you will have to lower the firewall to allow a new device to connect to your internal systems; lowering this defensive measure means authorizing a new device. Along with viruses, you might encounter other problems such as malware and phishing. If you’re not careful, these issues can cause all sorts of havoc with your computer systems, such as ransomware, which you can’t unlock unless you pay a certain fee. Your business needs as many security measures as possible, especially if your business is entrusted with sensitive data. In this situation, it becomes even more critical that you make sure your system is as secure as possible to prevent the possibility of massive data leaks. That way, you can avoid the incredible damage to your reputation with customers and clients after these high-profile leaks happen. This entry was posted on Friday, April 13th, 2018 at 3:44 pm. Both comments and pings are currently closed.